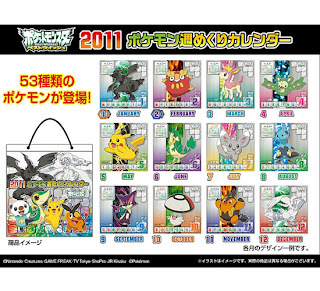 Ensly will release the following Pokemon Stamp BW 2 in January 2011, stamp has 18 kinds, random assort. Will replace the photo later. Additional post for Pokemon Movie 14th Title 2 ? 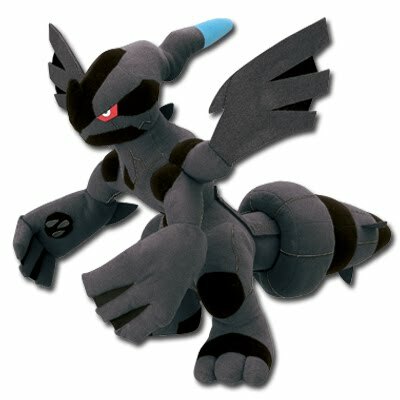 Pokemon official site announces Pokemon movie 14th title : ビクティニと黒き英雄 (literal means Victini and Black/Dark hero) and movie site opens. Pokemon Movie 14th Title ? 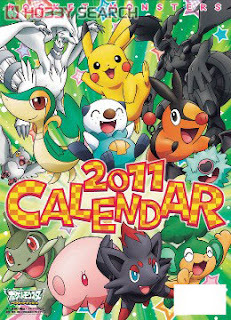 Pokemon Movie 14th Title reveals in upcoming magazine CoroCoro G Winter (official release date is Monday 29 November 2010 but some peoples have already read). 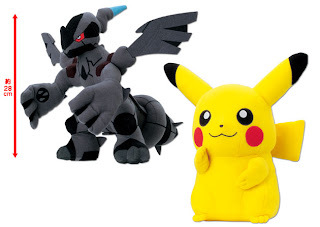 According to the interview of Mr. Junichi Masuda (Gamefreak director) and Ms. Shoko Nakagawa (aka Shokotan), movie title : ビクティニと黒き英雄 (literal means Victini and Black/Dark hero). 29 Nov 2010 : Announced officially and Pokemon 14th movie site opened, ref to the next post. Photos for Pokemon Monster Collection (M series) release in December 2010 and Pokemon Soft Vinyl Figure from Tomy are uploaded to the following previous articles. Bandai will release the folloing figures Action keychain BW in the end of November 2010, candy toys and parts movable. 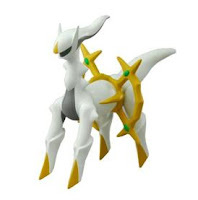 ( ) shows moveable part. 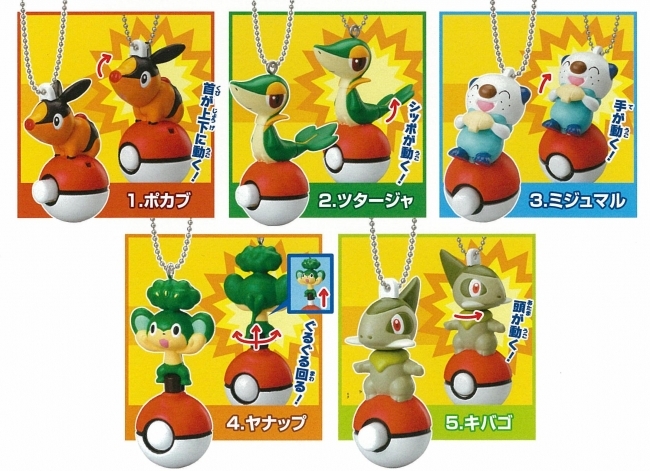 Takara Tomy Arts (TTA) releases the following figures (Netsuke : Strap figure) in the October 2010. Capsule toys, height about 3cm. 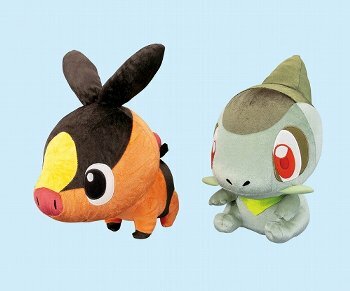 Just BW info, Nintendo has revealed the English name of the first starter three Pokemons in BW, Snivy, Tepig, and Oshawott. AAPF will use these name now. 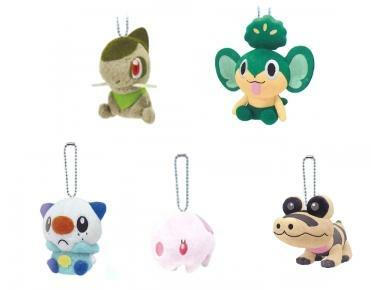 Banpresto will release the following BW figures strap as loto 'G' prize (1st Kuji) in the end of December 2010. 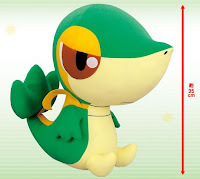 Figure and plate are detachable, figure's height 5cm. 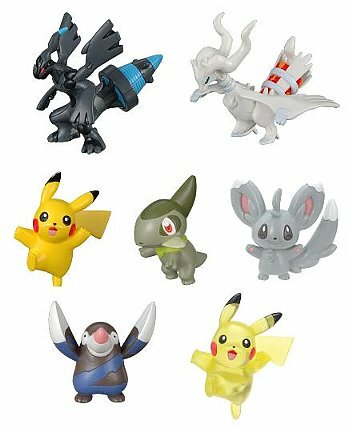 Photos for Pokemon Kids BW 2 (Bandai), Pokemon Zukan BW 1 (TTA) and Pokemon Chupa Suprise BW Figure (TTA) are replaced/added to the following previous articles and edited contents. 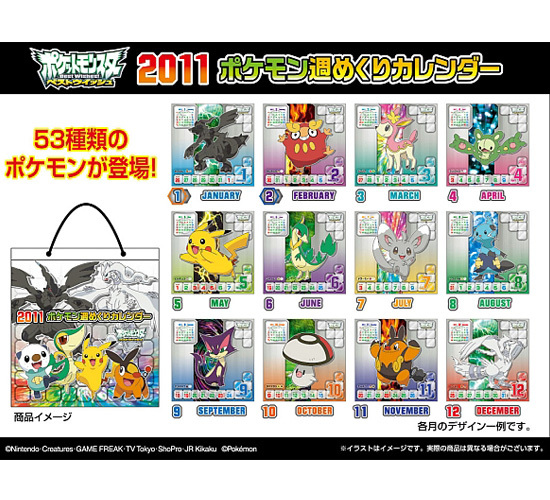 Ensky will release Pokemon Jigsaw Puzzle (Isshu/Unova region) in the end of December 2010, includes many new faces. 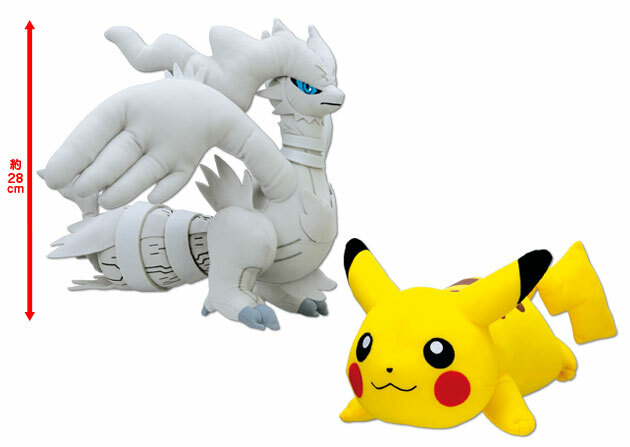 As for other Pokemon Jigsaw Puzzles, please refer to these articles. 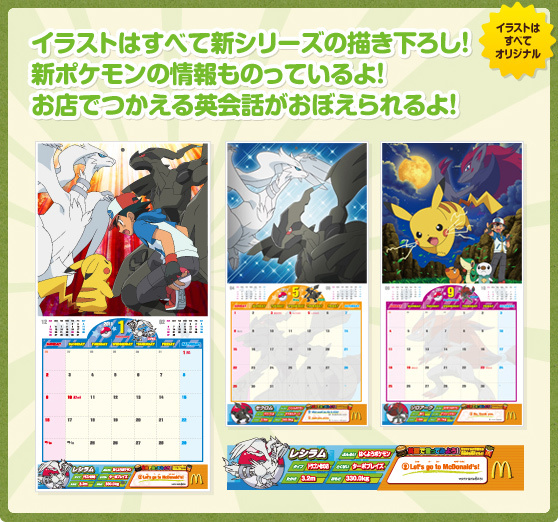 One more topic on Pokemon Calendar. Pokemon 2010 Calendar by Macdonald'sJP has been certified as the 'World's the best selling calendar", by Guinness World Record. 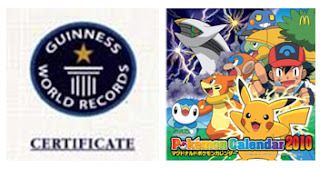 It sold 1476,442 copies during 6 November 2009 to 7 January 2010. Ceremony was held on 18 November 2011, at McDonald'sJP Shinjyuku shop in Japan. Will Pokemon 2011 calendar break it ? Tomy will release the following soft vinyl figures in the end of December 2010, height 13cm - 16cm, some parts are movable. Will upload the photo later. 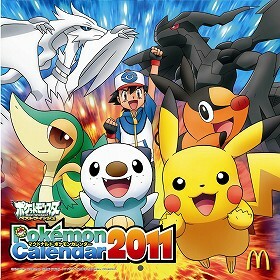 The various Pokemon 2011 calendars are released in October and November 2010. If want to see the sample of calendar pages, please click the following links. 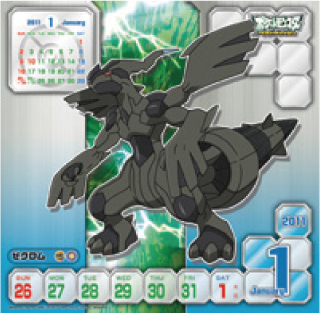 As for other Pokemon 2011 Calendar, please refer to article Pokemon 2011 Calendar 2. Marumiya Corporation, leading company.of dry Japanese condiment, released Wakame (a kind of seaweed) soup powder and Chazuka (toppings of white rice with green tea) powder in the beginning of November 2010. Pikachu and Mijyumaru's Kamaboko (dry fish paste) in the powder. 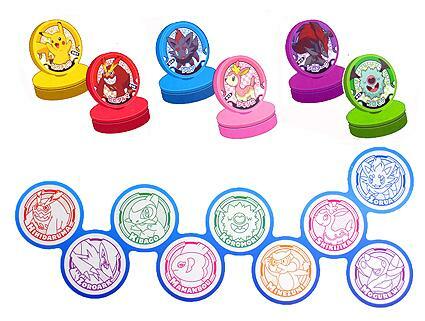 One product includes one Pokemon BW sticker, total 40 kinds. What is Chazuke and Kamaboko ? 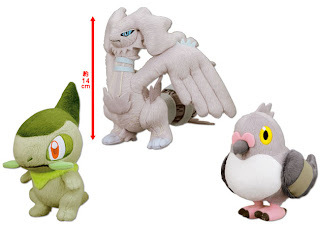 thanks and credit goes to Misuzu's blog for the info. Banpresto will release BW Sleeping Pillow in the middle of Febrary 2011, game prize, height about 33cm. 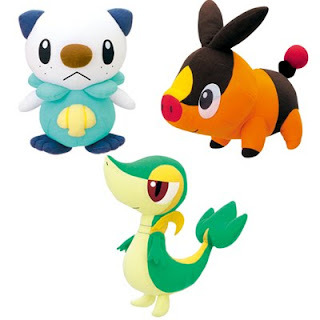 Provisional pics for the following Pokemon BW Plushies are uploaded to previous post 'Pokemon Plushies Release in Crowds No.3 (Banprest)' Will replace them later. 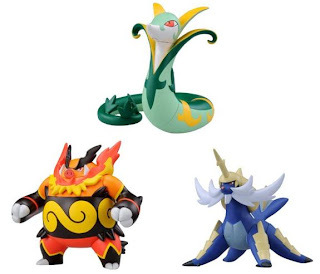 What do you think the best series of Pokemon design ? The following pics shows 646 Pokemons demake (arrange nostalgic design, like dot arts). It looks Green (Blue) taste. Weekly new release Pokemon plush at Namco is Kibako in this we. As for other line that new plush release every Saturday, PokeCenJP announced it in the official page. 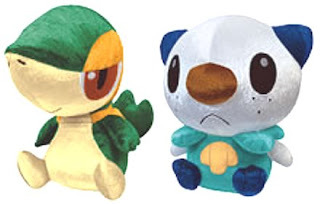 It follows story of Pokemon TV Anime BW series, airs on Thursday in Japan. 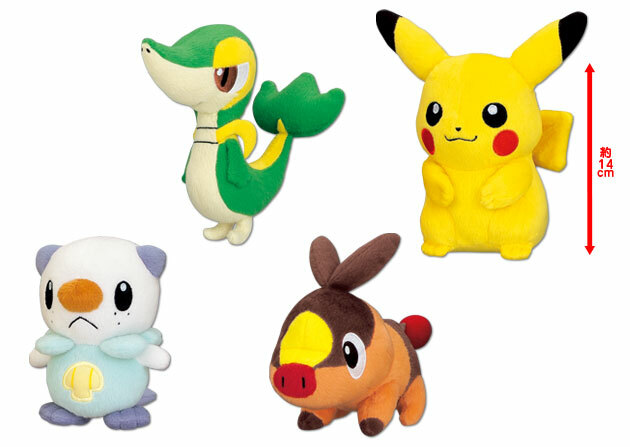 Pics are uploaded to relational article 'Pokemon Plushies Release in Crowds No.3'. 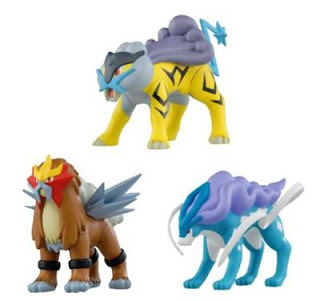 Bandai will release the following figure lights in the beginning end of February 2011. Capsule toys. rate is 48/300 pct, other is 252/300 pct. 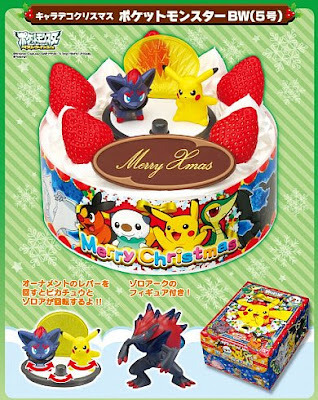 Bandai releases Pokemon Christmas cake BW 2010 version, includes Pikachu and Zorua figures (ornament : figure can be turned on the platform by manual) and a Zoroack figure. 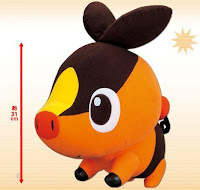 Cake's Diameter : 15cm. Booking is started from in the beginning of October to December 2010 in Japan. 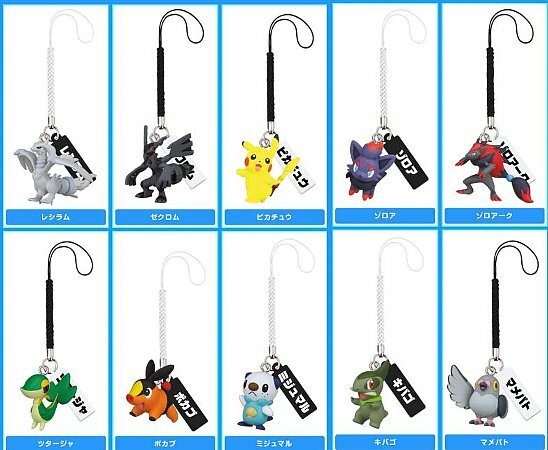 Banpresto will release the following 5 figures of BW figure key chain in the middle of November 2010, height 4cm game prize. As for next series, please refer to this post. The following four parts in blog have been applied/updated for more easy contents navigation . 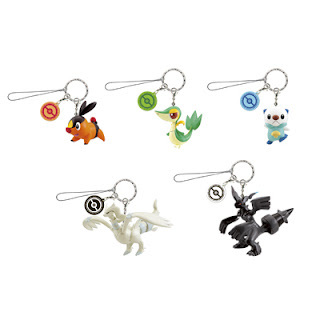 Bandai will release the following 6 figures of Figure Strap BW 2 in the beginning of January 2011. 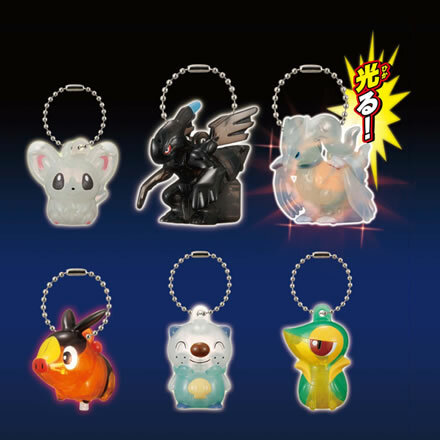 Capsule toys, 6 figures have translucent version, random assort. 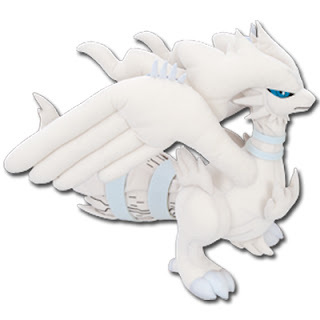 BW1 had been released in October 2010. 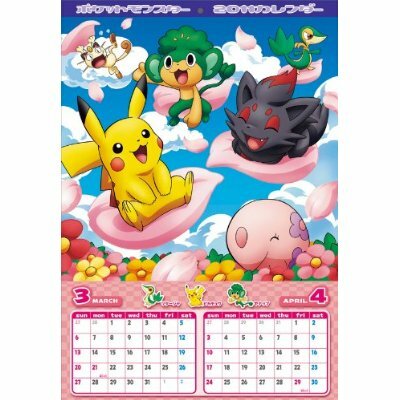 Shougakukan : Pokemon Fan magazine Buy from Amazon.jp ? 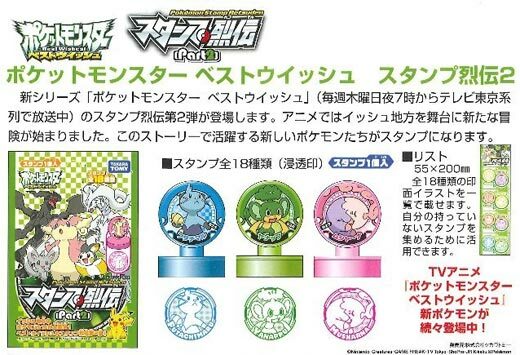 One more bath goods subject, Bandai will release bath powder (solid type、egg form) BW in the beginning of November 2010, bath powder contains a figure. It is named in Japanese 'びっくら ? たまご' (meaning : Surprised ? Egg). 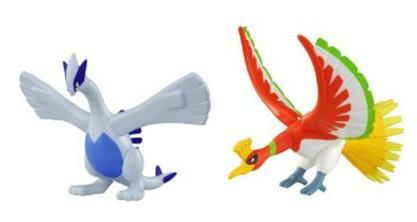 As for previous released series DP1 to DP6, please refer to Pokemon Water Toys. After DP6 to BW, as follow. 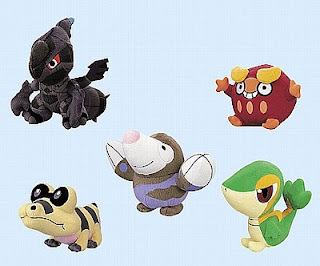 Ensky will release Pokemon BW puppet mitten in the January 2010. 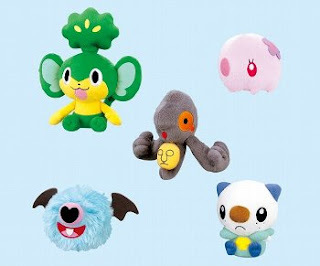 It is for bath goods, material based on the pile, is able to play as puppet or body washing with soup. 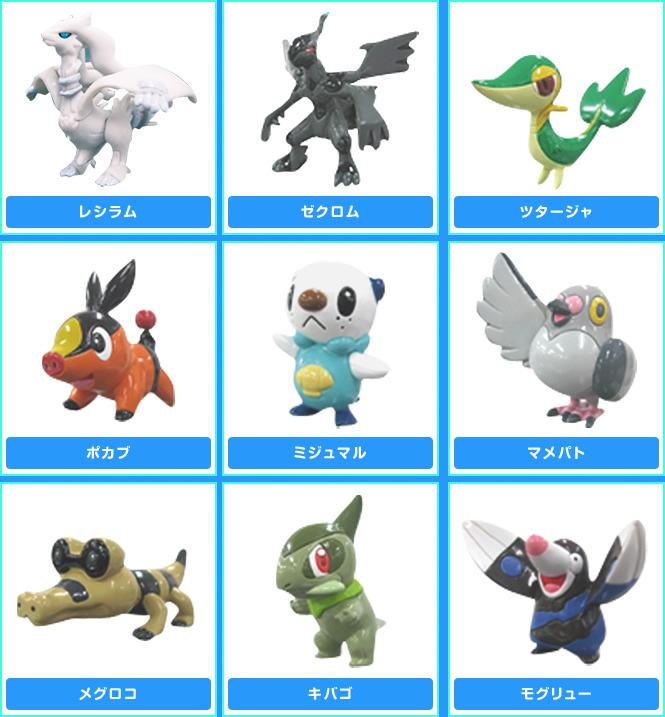 BTW, as other topic, the staff blog in Gamefreak Co.ltd posts about "How To Produce Pokemon BW game". 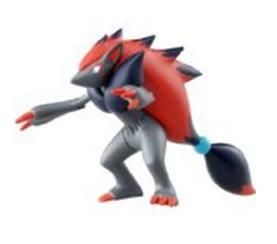 We can know what process they have taken for one Pokemon creation in past articles. If interesting, please check it. TTA (Takara Tomy Arts) will release 9 figures in Chupa Suprise BW series in the middle of November 2010. 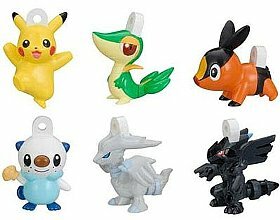 Canday toys, size is 3 cm, a figure is in one of 5 kinds Poke Balls. 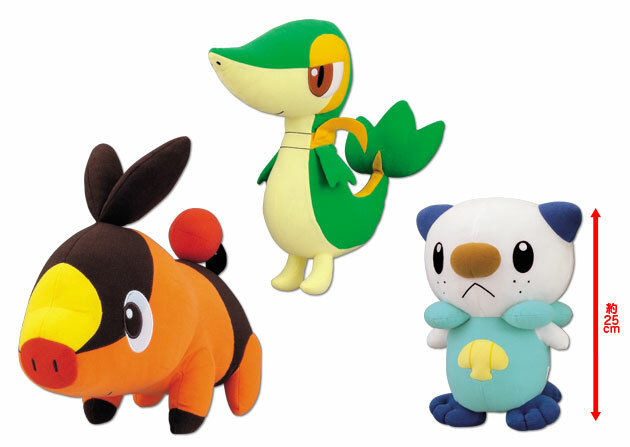 One missing info in previous article Pokemon Plushies Release in Crowds No.1 (PokeCenJP). 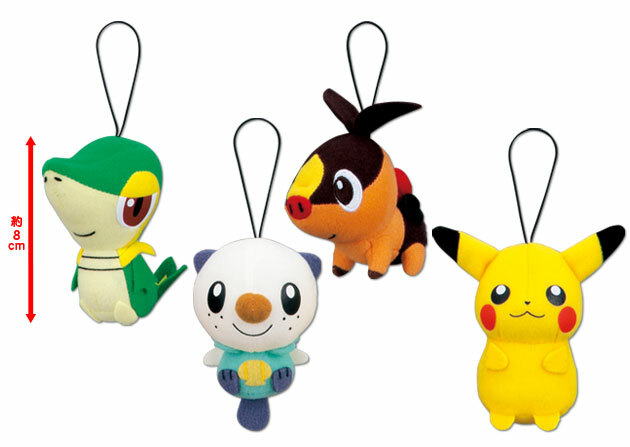 PokeCenJP Oosaka store will transfer to another location. The following Pokemon Plushies will be released as renewal opening anniversary/promotion on 26 November. 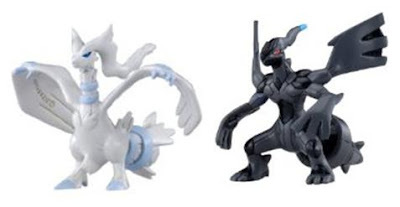 Photo of Reshiram and Zekrom figures in Tomy Moster Collection Plus (MP) series is uploading to the previous article, their form are 'overdireve' mode. Hoping expand the handling products, coverage of accessibility and delivery destination in near future. 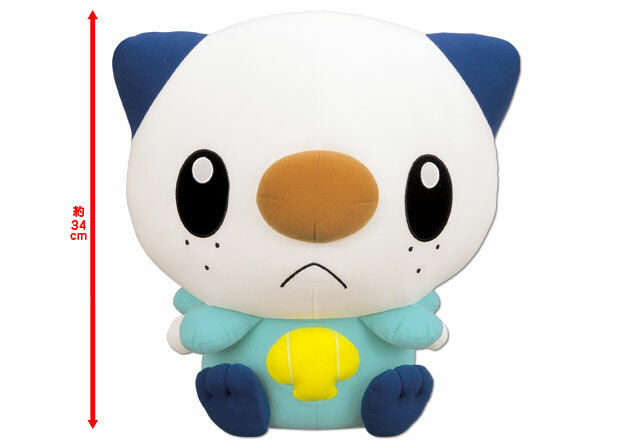 This post is third of Pokemon Plushies Release in Crowds, contains Tomy release. 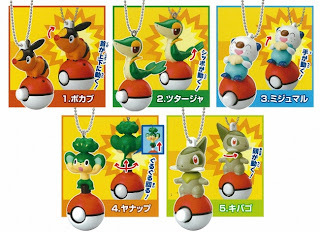 As for PokecenJP and Tomy, please refer to No.1 and No.2.